Karen Robson has been The Princess Shop's full-time Executive Director since January 2013. Karen originally joined the team in late August of 2012 as the volunteer Director of Operations before becoming Executive Director in January 2013. She completed her Bachelor of Commerce degree in Marketing with Honours and Distinction, at the Edwards School of Business in December 2012. During the 2011-2012 academic year, Karen conducted research concerning volunteerism and the nonprofit sector in completion of the Bachelor of Commerce Honours program. Her research examined the impact of relationship-building efforts on volunteers in terms of commitment. She has applied her research findings and knowledge to her role at The Princess Shop. In 2005-2006, Karen was a participant in the youth volunteer service program, Katimavik. During that time, she contributed nine months of full-time volunteer work in communities across Canada. Having been a committed volunteer herself, Karen's passion for the nonprofit sector and volunteerism, creativity, and ability to encourage the volunteer team ensures that The Princess Shop will continue its current momentum and growth. Currently, Karen serves as a volunteer on the Board of Directors of Recess Guardians and of the Ness Creek Cultural and Recreational Society. Fairy Godmother Program Coordinator - We are currently looking to fill both Fairy Godmother Program Coordinator positions! Check out the volunteer position description here! Kelsey Brown grew up in Sherwood Park, AB and moved to Saskatoon in 2015 to pursue graduate school at the University of Saskatchewan. She is currently working on her PhD in Applied Social Psychology, with a focus on Forensic Psychology and supporting individuals involved with the criminal justice system. Kelsey plans to write her PhD dissertation on the effects of Gladue reports on the sentencing decisions for Indigenous Offenders across the Prairie Provinces, and is working on other research projects involving the reintegration of female offenders, gender-informed treatment for adult female offenders, and the support of elderly offenders during incarceration. Though her research focuses on the offender population, her career experience has largely involved supporting women of all ages and circumstances. 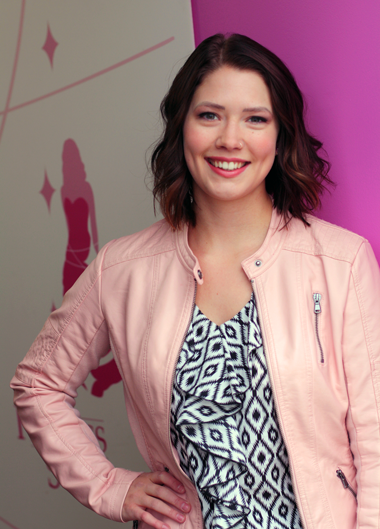 Kelsey strongly believes in empowering and helping women and girls to reach their full potential. She has worked and/or volunteered in the non-profit sector since 2011 and has supported women through youth work, family violence initiatives, newcomer support, and international experiences in both Costa Rica with and Peru. Kelsey currently works as the Women’s Program Worker at International Women of Saskatoon, and holds a casual Support Worker position at the Lighthouse Supported Living Inc. Kelsey hopes to continue supporting and empowering women through her role as the Next Chapter Coordinator and is excited to be part of The Princess Shop team! Areeba Bilal was born in Pakistan and immigrated to Canada in 2009. After moving around a bit from Brandon to Regina, her family finally settled down in Saskatoon in 2011. Areeba strongly believes in the responsibility people have to each other, and the power that instills in us to invoke meaningful change. It is with this belief that she either lead or started eleven clubs at school while in the Saskatoon Academically Gifted Education program and the International Baccalaureate Diploma Programme. 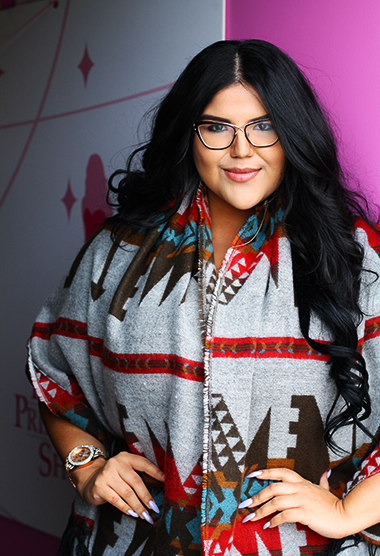 She also had the opportunity to develop her skills through the Youth Co-operative Entrepreneurship Program (where she co-founded Intertwine, a social merchandise co-operative) and the Canadian Medical Association's Think Camp on Indigenous Health. She used to be a Girl Guide and Pathfinder through Girl Guides of Canada and has volunteered with Child and Youth Friendly Saskatoon, Sherbrooke Community Centre, and Kumon Math & Reading. She is currently a member of Saskatoon's chapter of Plan Canada's Speaker's Bureau and the Saskatoon Community Foundation's Youth Advisory Council. In 2018, Areeba also earned the SHAD Fellow designation after being nominated to attend the award-winning enrichment and entrepreneurship program, SHAD, which puts students through an intense experiential learning program that empowers them to become change makers. Areeba is currently working to complete a four-year Bachelors of Science in Kinesiology at the University of Saskatchewan, after which she intends on applying to medicine to obtain a medical degree (MD). She also works as a Data Analyst/Research Associate at Insightrix Research. We are currently seeking an individual to fill this role! Check out the details here! Chelsey's volunteering endeavors began at 16 years of age when she travelled to Mexico, CA as part of a missionary trip to build homes for impoverished families. Since then she's acquired strong analytical, leadership and relationship building skills that have allowed her volunteer work to include becoming an intern for the Federation of Sovereign Indigenous Nations, being part of a team of scholarly researchers that partnered with Saskatchewan reserves for a project that focused on understanding the barriers and positive factors which mediate resilience among Indigenous youth to now being The Princess Shop Volunteer Representative that hopes to influence the graduates while also giving back to the community. With Chelsey's academia, work and volunteer efforts primarily surrounding the Indigenous community, it can be noted that her culture remains the center of her heart and the reason she is furthering her career by pursuing a second degree in Law with the aspiration to encourage Indigenous people to persevere through being overrepresented in the Canadian Criminal Justice System. Sarah Hadley grew up in North Battleford, Saskatchewan and moved to Saskatoon in 2017. Sarah is a University of Saskatchewan Student pursuing a 4-year Bachelors of Science in Psychology. Sarah intends on applying to the College of Medicine at the University of Saskatchewan and eventually obtain a Medical Degree (MD) and specialize in either pediatrics or obstetrics. Sarah has many interests such as dancing ballet and playing clarinet with the Concert Band at the University of Saskatchewan. Sarah believes in helping others and that organizations such as The Princess Shop can make a large impact on communities like Saskatoon. 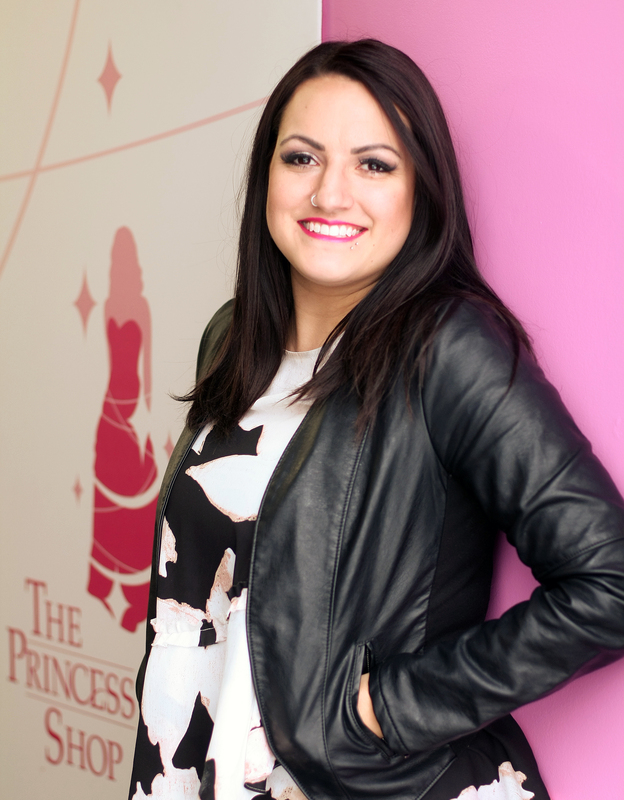 Sarah is excited to work with The Princess Shop and help students of all kind reach their graduation day and beyond. Sarah strives to help others in any way possible, and The Princess Shop gives her the opportunity to do so and make an impact and relate to women her age. Bailey Woloshyn is a fourth-year Finance student at the Edwards School of Business. She began her degree in Muenster at St. Peter's College in the fall of 2015 and moved to Saskatoon in 2016 to continue her degree at the U of S main campus. She grew up in Foam Lake, Saskatchewan and looks forward to returning home to her position as Chief Financial Officer of the Town of Foam Lake upon completion of her degree in April. In her spare time, Bailey enjoys playing volleyball, baking, rollerblading and spending time with her cat, Koala, and puppy, Dax. Bailey has been a mentor with Big Brothers Big Sisters of Humboldt and Saskatoon throughout university and found out early on that she has a passion for helping others. The Fairy Godmother Program initially sparked her interest in the Princess Shop, as it is very similar to mentoring that she has done in the past, and she is very excited to learn about all of the programs that The Princess Shop has to offer. She believes that The Princess Shop has an excellent purpose; empowering women to see their full potential is essential to helping individuals find their path to success. Yaxian Cai is from Shanghai, China. She came to Saskatoon in September of 2018 and is pursuing her master’s degree in linguistics at the University of Saskatchewan. Yaxian is always enthusiastic about volunteer work. She was the minister of the Volunteer Department of School Red Cross Association when she was an undergraduate in China. Different activities, including organizing regular blood donation drives and visiting orphanages, gave her fulfillment and enhanced her faith to help others. Now, she is a Volunteer Representative at The Princess Shop. She is so excited to join in this warm group to help all the girls. Yaxian believes that it’s every individual’s effort is important in making changes, so she encourages people to not hesitate to help others because every step you make is important. Maddison Toombs & Bonnie Chen - Coming soon! Colleen Shalley brings the values of creativity, innovation, attention to detail, dedication, and passion for helping others. Colleen always had a career vision of owning her own business. After working through numerous corporate jobs, she realized her passion for helping people. She has always had a passion for modelling because of the positive impact it can have one anyone’s life, which lead her to creating Infinity Management to focus on empowering others in key fundamental aspects of their lives. 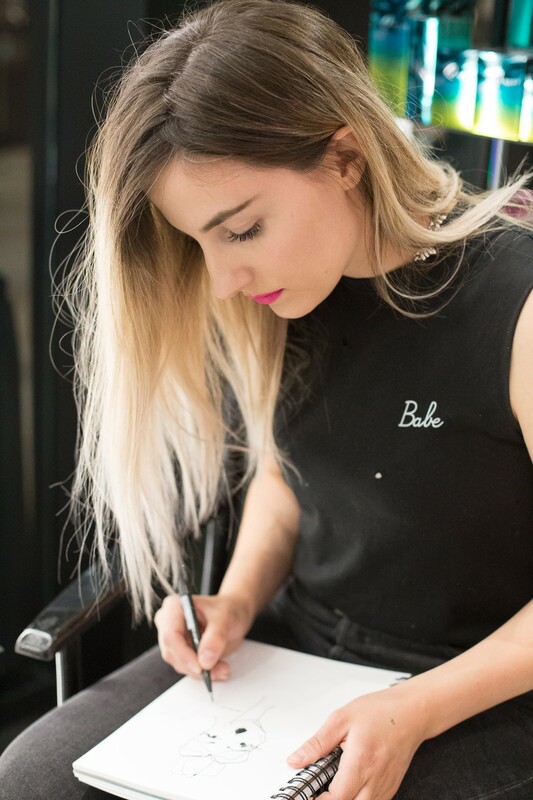 Through owning her own business, she brings the values of creativity, innovation, attention to detail, dedication, and passion for helping others. She truly believes that everyone deserves positive experiences to express who they are through relationships, modeling, and events to celebrate who they are in their own way. In her personal and professional life, she is always looking for new opportunities to help others. When she’s not working with her clients through Infinity Management, you can find her spending quality time with her husband Matt, as well as with her dogs Buddy, Cleo, and Felix, and her cat Pepper, or playing basketball. Rachael Meckling is a Canadian based illustrator & designer who completed her studies in Fashion Communication (Bachelor of Design) at Ryerson University. She currently resides the Saskatchewan Prairies. She specializes in textile & print design, live fashion illustrations and graphic design. With a huge heart, she is ready to make anything! Alexandra Archer was born and raised in Saskatoon. After completing high school, she spent a few years in Vancouver attending film school and working in the film industry before moving home to Saskatoon to begin the Bachelor of Commerce program at the Edwards School of Business. As part of her degree, Alex had the opportunity to take part in the Governance and Leadership Development Practicum (GLDP), during which she got practical governance experience as an intern withThe Princess Shop’s Board of Directors. After completing her degree in the summer of 2016, Alex began working with Federated Co-operatives Ltd. as a Supply Chain Systems Analyst. Alex is passionate about giving back to her community, and volunteers with Student Wellness Initiative Toward Community Health (SWITCH), as well as annually with the SaskTel Saskatchewan Jazz Festival. She is excited and honoured to have the opportunity to continue working with The Princess Shop as a board member. In her spare time, Alex enjoys spending time with friends and family and being active at the lake, gym, or on the soccer field. Anna Beatch obtained a Bachelor of Commerce from the University of Alberta and a Juris Doctor from the University of Victoria. She was called to the Saskatchewan Bar in 2016 and is currently a lawyer with MLT Aikins LLP where she maintains a corporate/commercial practice and advises Aboriginal communities. Anna has a passion for traveling - she has studied in Austria and China, volunteered for a non-profit organization in the Phillippines, and backpacked throughout South America, Europe, and Asia. Lillian Denton - Bio coming soon! Kayla Brien - Originally from British Columbia, Kayla moved to Saskatchewan in 2008 to pursue her post-secondary career and has since completed a double degree in International Studies and Economics. Currently, Kayla works in Employer Relations for the Core Neighbourhoods at Work progam with Quint Development Corporation. Quint is a non-profit organization that focuses on the economic and social well-being of Saskatoon's west side core neighbourhoods through a community economic development approach. Kayla is a past Fairy Godmother Program Coordinator and is currently a Fairy Godmother. Previous involvement with The Princess Shop has had such an impact on Kayla’s life that she was very excited to continue being a part of the organization through the Board of Directors. Lynn Flury is the Corporate Director of Marketing for Airline Hotels, a Canadian Hotel company with 9 hotels in Canada. A seasoned hotelier, Lynn spent 11 years as the General Manager at the Hilton Garden Inn in Saskatoon (an Airline hotel). Prior to this she served as VP, Director of Marketing at Tourism Saskatchewan for four years. She has worked with CHIP Hospitality in Sales and Marketing, and has experience in the non-profit sector as the Marketing Director at Wanuskewin Heritage Park. Lynn has a Business Admin Certificate for the University of Saskatchewan. She has a passion for Saskatchewan, and currently serves as a board member of Tourism Saskatoon, and in the ast has been a board member for Tourism Saskatchewan, and as Chair of West Central Tourism, and was previously President of the SKAL Saskatoon Chapter. Lynn enjoys family time at Candle Lake, volunteering as a soccer Mom and spending time with her two daughters. Brian Hoessler is the founder and Connector-in-Chief of Strong Roots Consulting, a Saskatoon-based firm that provides research, development, and evaluation support to non-profit organizations. Born and raised in Winnipeg (though he downplays this fact during the CFL season), he has lived in Toronto, Kitchener-Waterloo, and Kingston (Ontario) before moving to Saskatoon in 2012. While in Kingston, Brian worked for a after-school support program for high school students at risk of not graduating: there he saw first-hand how encouragement and support can help build a sense of confidence that enables students to succeed. His hope is that by volunteering on the Princess Shop's board of directors, he can help the organization continue to thrive and support more students in Saskatchewan. In his spare time, Brian volunteers on the board of the Friends of the Broadway Theatre, plays trombone in the Saskatoon Community Band, and enjoys spending time with his partner Carolyn and their pug Gizmo. 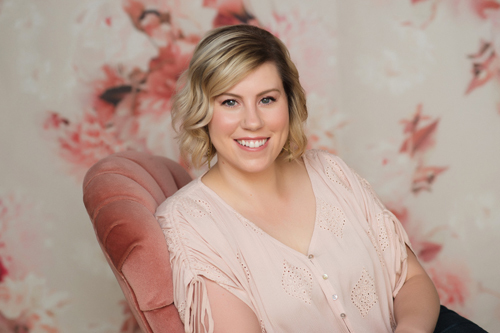 Casie Stevens obtained her Bachelor of Commerce from the University of Saskatchewan in 2015, successfully completed the CFE in 2017, and is currently working towards her CPA designation. She is a Senior Accountant at KPMG LLP in Saskatoon where she specializes in auditing public companies. Casie enjoys giving back to the community through volunteering for programs including WE Day, Lawn Summer Nights for Cystic Fibrosis, and the Women of Distinction Awards Gala. In her spare time Casie enjoys golfing, reading, and spending time outdoors with her dog Kevin. Carla Loney-Tindall is originally from Alberta moving to Saskatoon in 1995. Early in her career she as a practicing psychiatric nurse working as a life skills coach with at risk and employment disadvantaged youth. She went on the complete a Bachelor of Commerce at the U of S. She has had several leadership roles in the not-for-profit sector, mainly as Provincial Director of the Children's Wish Foundation, Executive Director of the Saskatoon Public School Foundation and DCG Philanthropic Services. As a recently 'retiree' she continues to be engaged in several community initiatives both as a volunteer and board member roles with the Children's Discovery Museum, The Children's Wish Foundation, Recess Guardians and 100 Women Who Care Saskatoon. In her spare time she enjoys travel, golf, time at the cabin, water skiing, riding her motorcycle and spending time with her family. Tischa Mason, originally from Prince Albert moved to Saskatoon in 1993. After completing her Bachelor of Commerce she spent time working in Switzerland for a non-profit organization before returning to Saskatoon. Tischa is currently the Executive Director for the non-profit organization called the Saskatchewan First Nations Family and Community Institute (SFNFCI). SFNFCI conducts research for areas impacting child welfare services and programs and provides culturally relevant training and support that are based on First Nations values and practices for child welfare workers. Tischa has nearly 20 years marketing and human resources experience working in the past for other non-profit organizations such as the Saskatchewan Indian Gaming Authority, First Nations University of Canada, and Wanuskewin Heritage Park. Tischa has served as a board member for Big Brothers Big Sisters of Canada, Leadership Saskatoon, and the West Central Tourism Authority. Tischa also sat on the Grants Committee for the Saskatoon Community Foundation. Colleen Cameron - Bio coming soon! Glenda Ball - Bio coming soon! Micah Neufeld - Bio coming soon! Silvia Martini, Interlink Research Inc.